What is Self-Imaging Therapy (SIT)? Self-Imaging Therapy™ or SIT is a fresh, effective, and life-changing approach to psychotherapy that Dr. Bird pioneered to help you overcome whatever you’re struggling with: stress, anxiety, fear, trauma, depression, emotional eating, past hurts, etc. SIT is a transformative inner process—very much like an active, therapeutic meditation. It achieves maximum results quickly and deeply, because it changes you from the inside out and gives you the tools to heal. It gets to the root of the problem and you experience fast and long lasting change in every session. SIT works because self-images are a powerful tool for creating self-awareness, healing, and change. Your mind doesn’t know the difference between a real experience and an imagined one. If you vividly imagine yourself eating a juicy fruit (e.g. mango or peach), you will salivate in the same way as you would if you were actually eating it. In the same way, your mind will register and encode transformations that you experience through the SIT process as “real”. Your mind and heart claim the strength, confidence, calm, and personal power you always wanted. SIT is self-nurturing at its best. It helps you cultivate a relationship with yourself based on understanding, compassion, growth and love. The therapy has a transcendent aspect to it, because you develop the positive parts of yourself. SIT is also a technique that you learn with practice. So you acquire skills to use in your daily life that help you to maintain the benefits you gain from doing SIT. Liberates you from blocks and transforms you in every session. Transforms the root problem so you experience fast and long lasting change. Changes the mindsets that hold you back. Provides you with the skills to create calm, joy, and fulfilment in your life. Rejuvenates and restores you to wholeness. What are the benefits of doing SIT? SIT helps you get in touch with, heal, and change patterns, thoughts, emotions, and experiences that disrupt your life. Changes are made inside yourself at the core or root level. You build yourself from the inside out. SIT is a technique that you learn to do for yourself, so you acquire skills to use in your life that help you maintain the benefits gained in the therapy. You feel more connected and grounded. Self-images are special in that they reconnect you to a sense of personal wholeness. You realize that there is an enormous wealth of creativity and resourcefulness inside of you. Many people report a sense of liberation, transformation, optimism, self-awareness, control, overall healing, betterment, wholeness, harmony and upliftment. SIT makes you know that you can change and that you can harness the ability to direct your feelings and thoughts rather than have them direct you. The greater sense of self-awareness that you gain by doing SIT helps you to make better choices for yourself. It enables you to live more positively because it builds peace and self-value inside of yourself. You become your own best friend and build a healthy relationship with yourself that is loving, supportive, and compassionate. How long does the Self-Imaging Therapy (SIT) process take? Self-Imaging Therapy (SIT) creates transformation and movement in every session. You go through an entire cycle of self-awareness and change. While a single session is not a cure, you do experience healing, resolution, and change. With SIT you get a lot of progression because you deal with the root cause of your experiences, feelings, and thoughts using your own self-images and retrain your brain at the same time. You go directly to the source of your problems, identify what is causing the pattern, heal, and transform the issue. You learn new and healthy ways to function. Is Self-Imaging Therapy (SIT) difficult to do? SIT is a process that anyone can do. Although the idea of self-images may sound difficult, the therapy is actually easy to do. All the images come from within you and tell your story. You use your own self-images to look at the way you see yourself and the world. You change the negative self-images into ones that are positive. Do you have to be able to visualize to do Self-Imaging Therapy (SIT)? SIT is a sensory experience that uses all senses: touch, taste, sensations, vision. It uses your self-images to help you feel and see what is going on inside of you. The procedure is designed to make it is easy for everyone to do. Dr. Bird expertly directs you throughout the entire process. It can be done in person, via online video or Skype or the phone. Why does Self-Imaging Therapy (SIT) use images? SIT uses your self-images to represent your conflicts and issues. You see yourself more clearly and develop greater self-awareness to understand yourself better. 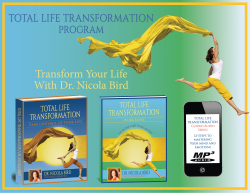 You transform negative self-images that bring you down into positive ones that build your self-esteem and self-worth. Self-imaging can actually feel like coming home to yourself. The incredible images that come up in the sessions allow you to learn many positive things about yourself and discover hidden and creative resources within you. SIT is brain retraining. You break down old patterns and rebuild new healthy ones at a deep level. Through the process, you condition your mind to think in new ways, your heart to feel more love, your gut to react more calmly, and your body to behave in a way that is self-supporting. You learn new coping styles. The deep-seated process that is the nature of SIT retrains your ways of thinking, feeling, reacting, and behaving that sustains itself and is long lasting. How quickly will I experience change? Most people report change from the first session that may or may not sustain itself initially, because the emotional heavy lifting hasn’t occurred yet. Consecutive sessions, committing to change, and putting in the effort to make the self-care time to do the SIT exercises will create the success you seek. This is how SIT is sustaining. Why is it empowering and how do I empower myself through the process? You gain a sense of control. Dr. Bird expertly guides you but you learn how to fix your own problems. You are also brain retraining, so you will be developing new strengths and abilities—what in SIT is referred to as emotional and mental muscle building. You can think of Self-Imaging Therapy (SIT) as a combination of: (1) losing the emotional or mental “weight” that makes you unhealthy and (2) as emotional or mental weight lifting or strength training that fortifies you. You let go or break away from mindsets, experiences, and patterns that don’t serve you, block you, or damage you. At the same time, you build or strengthen healthy, enhancing, and empowering ways of being. If you have 50 pounds of mental and emotional “weight” that keeps you stuck, immobilized, and self-doubting, you will drop some of this “weight” in each session. So you will experience the benefits of the change and feeling lighter and freer. At the same time, Self-Imaging Therapy (SIT) strengthens the emotional and mental “muscles” that empower you and make you feel secure, healthy, and confident. If you have weak “muscles” that have never been strengthened, they need to be worked on and built up; for instance, let’s say you have too much anxiety and calm “muscle” is underdeveloped. That you are weak does not mean that you cannot do it, but that you have to build it. You cannot instantly go from 0 to 100 when you are emotionally and mentally “overweight” or underdeveloped. You build on each successive change. With consistency, you let go of what bogs you down and concurrently build strength and security. But you will be able to see changes, continuously losing 5, 10, 15 pounds of emotional and mental “weight” while building from 1 pound of emotional/mental strength, to five pounds, ten pounds, etc. So you can see and feel the changes, and they are the foundation that builds the confidence that you can keep healing, growing, and transforming. In Self-Imaging Therapy (SIT), we focus on each accomplishment and celebrate the achievement. What are the typical patterns that people struggle with? Inadequacy: not feeling good enough or worthy enough. A poor relationship with self; e.g. hard on the self, self-judgmental, self-pressuring. Dissociated and disconnected from self. Aloneness and isolation; not feeling connected. Fear of the power the surrounding world holds over them. Difficulty taking responsibility for self. Difficulty focusing on own emotions and instead focusing on what the world or others are doing to them. Owning responsibility for own emotions. Not Knowing how to be loving, kind, compassionate, and nurturing to self. Inability to cope with their emotional life, so that they feel as if their emotions control them verses they direct their own emotions. Unable to move past hurtful events, emotions, or experiences. How does the process progress? What are the stages? Self-awareness and heightened emotional awareness of self and the emotions. Dilution of response to triggers, reduction of the problem while at the same time heightened positive emotions. Clarity about the cause of your problems and why you are struggling. How you can create change: you learn techniques that you employ in your life to gain empowerment. All round sense of betterment, wellbeing, and control. What are patterns to watch for that prevent personal transformation? Focusing on challenges instead of the successes. Comparing your weaknesses to the strengths of others. Self-blame or blaming the world and others. Waiting to get better rather than celebrating each moment of change. Being afraid of your emotions. Seeing challenges as a set-backs rather than opportunities to learn. Not taking responsibility for yourself. Not taking care of self and knowing that you deserve goodness. Viewing the return of an issue as a set-back. The success is in your ability to manage it and keep moving, rather than be stuck, helpless, afraid, or powerless.